Enchanting Travels guest Jennifer Lockyer traveled with us from the UK in October 2013 and shares her South India holiday experience with us. Whether consciously or unconsciously, we went to India with an open mind and had no idea what to expect. We were surprised, pleasantly surprised and in some ways not surprised at all. On our first day we quickly started to absorb the culture. We saw Chinese fishing nets being used by locals on the harbour, walked through a local village, visited a local Anglican church and learned about the history of the area, had a sunset cruise and watched a traditional dance performance. Sprinkled in between was an informal lesson on Hinduism from our amiable guide, much to my delight as I have an insatiable appetite for knowing more about the religion. Hinduism permeates India, but at the same time there is an eclectic mix of religion in the south (I genuinely was very surprised at the amount of churches), all of which is very harmonious. I was overwhelmed with the hospitality on our trip. We were treated like long lost family with every hotel making us feel like we were staying with an aunt we hadn’t seen for years; they didn’t seem to be able to do enough for us. At times it was like visiting your grandparents, being offered copious amounts of food, kindness and, of course, tea. We really did feel like we were at home in south India. One highlight was learning about Ayurvedic medicine. We took a tour of an Ayurvedic plantation and learnt about the healing properties of plants, herbs and oils and I was almost indignant that a great deal of the western world is yet to be educated about this. Our guide claimed that my stomach problems would be healed after ten days of taking half a teaspoon of what can only be described as a chalk like consistency tasting of smoky wood. It sounds far-fetched, but yes, I bought it hoping for a new, improved digestive system. The doctor we consulted with in one of our hotels was equally amazing; the holistic approach of Ayurveda is incredible. The biggest highlight however was the house boat which truly felt exotic (in a non obvious way). 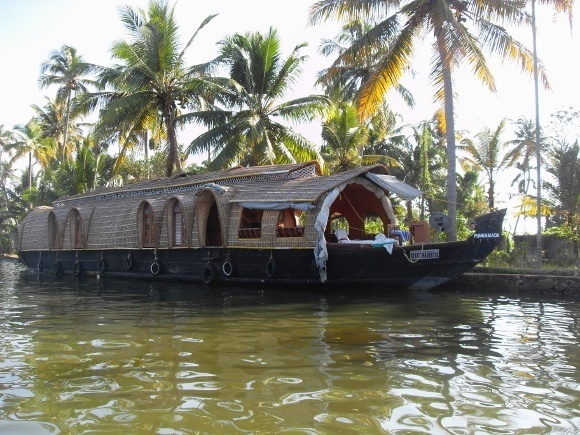 Lush landscape fringed the rivers and the whole day floating on the backwaters had a sophomoric effect. We were also treated like a king and queen by the houseboat staff being served the most amazing drinks and food; it was true luxury. South India felt like a spiritual Disneyland in a tropical forest, peppered with British influence – I cannot get over the comment by a local guide who said that he will not get out of bed without a cup of tea…you can’t get more British than that! Inspired? 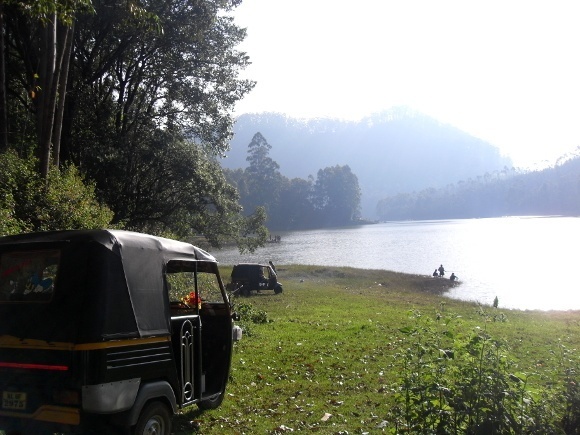 Plan you own South India holiday with a private, tailor-made tour with us.